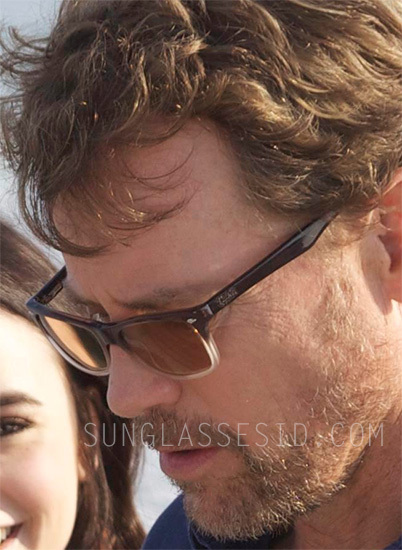 In the movie Stuck In Love, the character Bill Borgens (played by Greg Kinnear) wears a pair of Ray-Ban RX5228 prescription glasses fitted with sunglass lenses. The pair worn in the film has a brown opal gradient frame, color code 5034. These glasses are available on FramesDirect, Amazon.com, Amazon.co.uk, eBay. These glasses come in different sizes, colors and prescription lenses, so if ordering a pair make sure to customize them to your needs.